The ætherweb is big place and noone can really keep track of all the wonderful Steampunk related material that is out there. Taking this into account, I once again share a few sites with you I more or less frequently visit. Less frequently is becoming the norm since I am too occupied with other things (i.e. real life). I should have included it earliere, I know, since it is such an important blog in the scene and has been around since 2007, a long time in the blogosphere, I think. But then again, I had to balance well-known sites and perhaps less known sites. Anyway, the Steampunk Tribune is an extensive, very frequently updated and well-written blog about everything Steampunk. 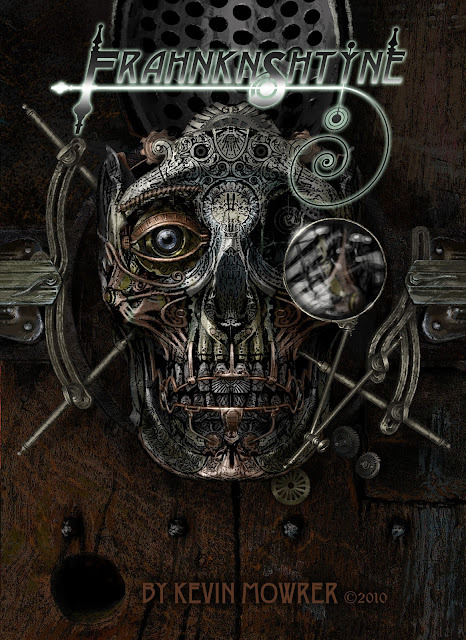 It also features quite an extensive selection of Steampunk related links for further reading and ætherweb-explortion. So just saunter over and check it out. But this is all just a fragment of what Kevin Mowrer has created on his blog. I could go on for hours about his work and speculate what could be next but I would just spoil it for you. So by all means, pay Kevin a visit, leave a comment and hope this project will one day turn into a movie, graphic novel or both.